Freemasonry is a fraternity of men who seek to improve themselves through their association with one another and their families. 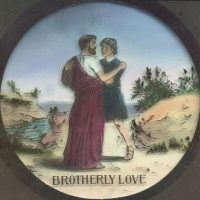 It promotes the basic precepts of Truth, Morality and Brotherly Love. It brings good men together for fellowship and the promotion of integrity and good citizenship. It encourages charitable activity, social awareness, and strives through its teachings to uplift its members and assist them in their efforts to attain high moral standards, to live decent lives and to conduct themselves to the benefit of others. The foundation of every virtue. To be good Men and True. 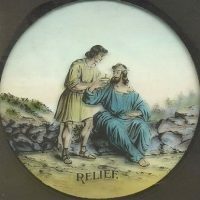 Masonic charity is practiced for the improvement in the lives of men here and now. Orrstown Lodge is proud to be able to offer our members, and the general public, Orrstown Wear. Are you a proud member of Orrstown Lodge? Are you a family member of an Orrstown Mason? Do you just want to help out the best Lodge in Central PA? 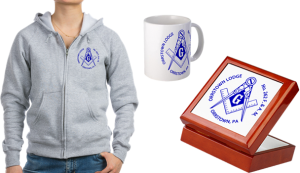 Well jump on over to the Orrstown Product store from Cafepress, and help support your Lodge. A portion of the proceeds goes to support the Lodge. So not only are you getting great Lodge Wear, but your helping too. Click Here to Start Browsing and Buying! 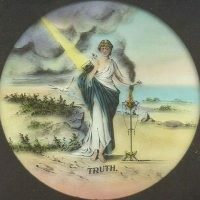 2B1ASK1 - How do I become a Mason? To qualify for membership every applicant must advocate his belief in the existence of a Supreme Being, be a male at least 18 years of age, be of good moral character, motivated to join for reasons unrelated to personal gain or profit, desirous of earning knowledge of the great principles of Brotherly Love, Relief, and Truth, and willing to conform to the ancient usages and customs of the fraternity. Our tradition was to wait for you to seek membership entirely of your own free will and accord. Today, however, we allow our members to selectively invite men of good character, who will be a credit to our Fraternity. But this doesn’t mean that you have to wait to be invited to join the Freemasons of Pennsylvania. Your interest is enough, if you meet the qualifications. To start the process, you must first submit a petition for membership.